lovely outfit, really like the peter pan polka dot collar detail. How can this be creepy? I think it is really sweet and cute! Great vintage vibe with great knee socks - just love this! 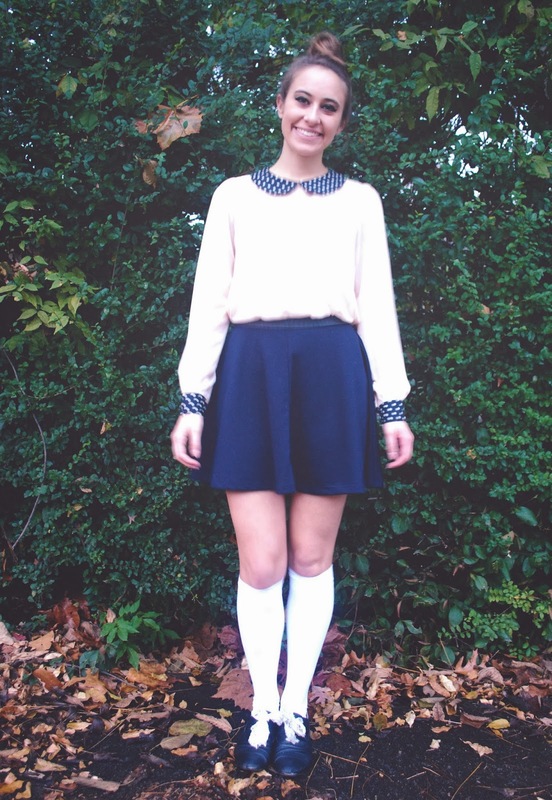 super cute outfit; I'm always a sucker for a peter pan collar, especially if it involves polka dots.